Representing events as a subset of a sample space using tables and tree diagrams. Understanding when conditional probabilities are equal for particular and general situations. During the lesson, students first work collaboratively on a related task. They have an opportunity to extend and generalize this work. The lesson ends with a whole-class discussion. In a follow-up lesson, students revise their individual solutions to the assessment task. Each student will need two copies of the assessment task, A Fair Game, a mini-whiteboard, pen, and eraser. Each pair of students will need a copy of the Make It Fair sheet cut up into cards, a felt-tipped pen, and a large sheet of paper for making a poster. 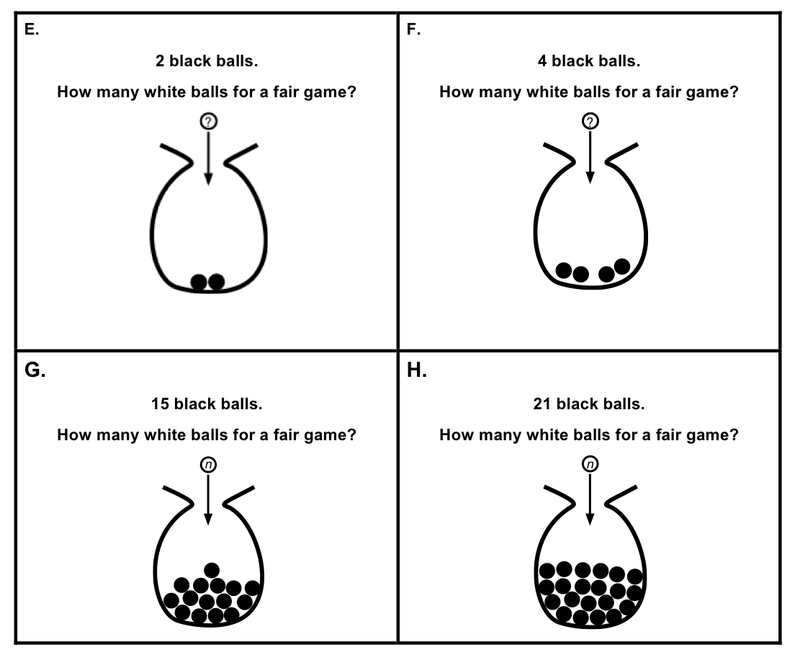 You will need several copies of the extension material, Make It Fair: Extension Task, a bag, and some balls. Approximately 20 minutes before the lesson, a 1-hour lesson, and 15 minutes in a follow-up lesson. All timings are approximate. Exact timings will depend on the needs of the class.